We have well established infrastructure facility, which is endowed with required technology. This allows us to manufacture world class products, which are highly demanded in the international market. Our quality experts stringently conduct tests so that we offer the flawless range of products. We owe success to our team of efficient and qualified professionals, which dedicates its labor to ensure that our clients get the most optimum product. We are engaged in manufacturing and exporting a wide range of Industrial Plastic Bags and Pouches. The products manufactured by us are made up of quality raw material, which are procured from the most reliable vendors of the industry. Moreover, our products are checked by quality controllers, who ensure that these are defect free. Our products are available in various shapes and sizes to offer full packaging solutions. 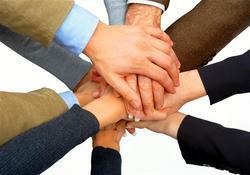 Team is the main strength of an organization, which makes it possible to achieve the objectives successfully. We are endowed with a team of efficient professionals, which is dedicated and innovative. Our organization consists of efficient machine operators, quality controllers, warehousing personnel and skilled & semi skilled staff who endeavor in fulfilling the needs and requirements of the clients. Moreover, our team has enabled us to provide the most optimum Industrial Plastic Bags and Pouches due to which, we have attracted new clients from across the world. They even work hard to produce customized products without compromising quality. We have been able to serve the requirements of our clients owing to the technology used and efficient workforce. Our clients can receive from us the most optimum and flawless Industrial Plastic Bags and Pouches. The products are rigorously tested before delivery, which ensures these are defect free. Due to the perseverance of our workforce, we have succeeded in producing quality output therefore, we have been able to sustain it consistently over the years.